There is no need to visit any shop or store to recharge the idea mobile. We can recharge idea mobile using idea mobile website. This will take hardly 2-3 mins to recharge the idea mobile. Idea mobile recharge service provide the flexibility to recharge the idea mobile using different options like- Credit Card, Debit Card, Internet Banking,Mobile Payment,Cash Card and Pay through IMPS. 1. Visit the idea mobile website. 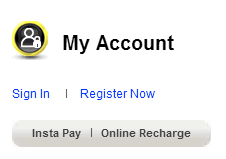 Click on "Online Recharge" button available on My Account section. 2. Enter the mobile number and fill the other details in next screen. select the recharge type according to your choice. 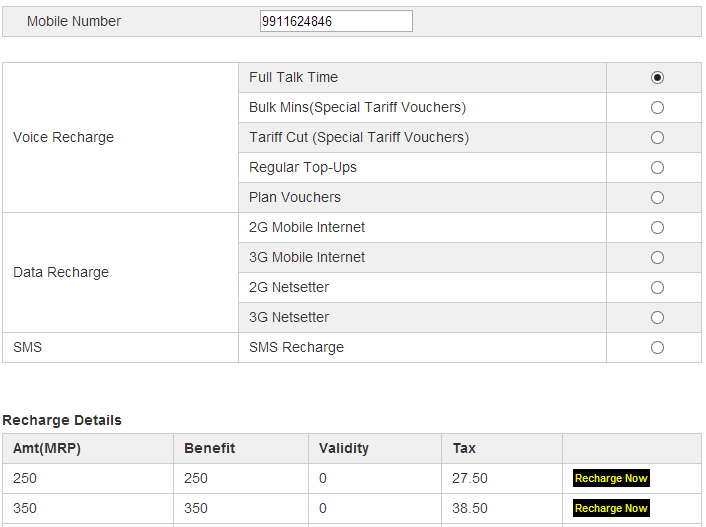 See below, it will display the recharge amount. 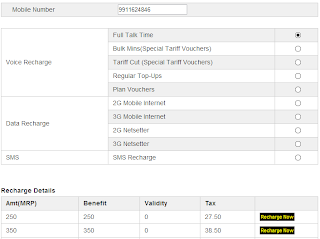 click on "recharge type" link in front of the recharge amount you would like to recharge. Now, it will transfer to billdesk for payment. 4. Select the payment options according to your choice. Now follow the next instructions and enter your payment details. After successful payment you will get the message for idea, your idea mobile recharge is done.